Well moulded and comprehensive multi-media kit. 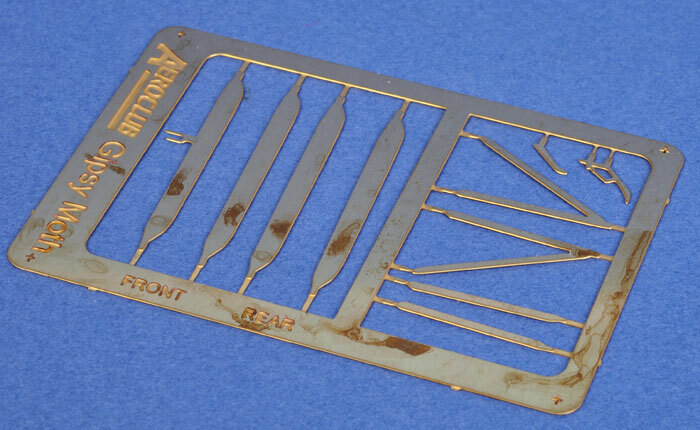 Heavy photo-etch brass may not be the best media choice for wing and cabane struts. Cockpit interior detail is very basic. Overall a quality multi-media package of a very significant light plane. The DH 60 Moth was a 1925 development of the earlier and larger DH 51 It featured foldable wings which were far less demanding on hangar space than earlier fixed designs. The Moth participated in various King’s Cup races which raised its profile. After the Secretary of State for Air became interested in the type the Air Ministry subsidised five flying clubs, and equipped them with moths. The Moth was developed in various guises using different engines. The original Cirrus engine was based on salvaged Renault engine parts from WW1. Stocks of parts were not limitless so De Havillands developed their own Gypsy I engine used in the DH 60G Gipsy Moth. There was also a change from wooden to welded tubular steel fuselage with the DH 60 M (M for metal) originally intended for export customers. The final development was the DH60T using a Gipsy III engine and swept back wings. This design was sufficiently different to be redesignated as the ubiquitous DH 82 Tiger Moth. 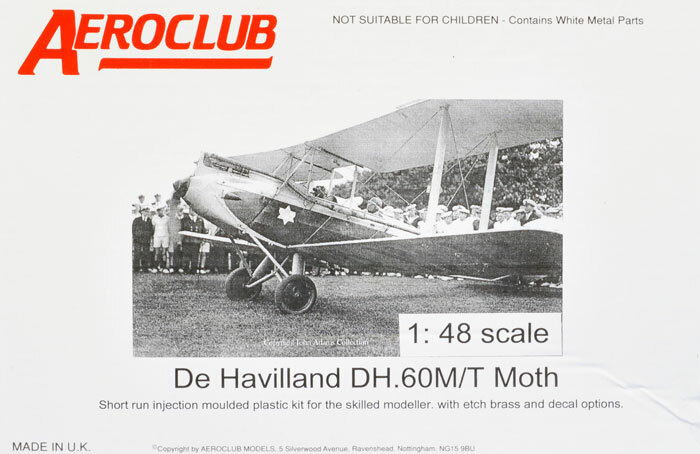 Aeroclub's 1/48 scale De Havilland DH.60M/T kit comes packaged in a stout top-opening box with a nice period photo featuring the Duke of Windsor’s aircraft as box art. The parts and decals are in zip-locked plastic bags. 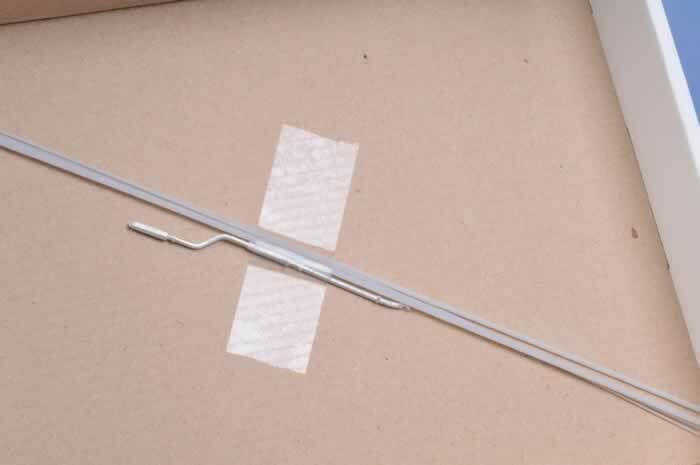 The long styrene extrusions and lengthy white metal exhaust pipe are taped to the bottom of the box for protection. The comprehensive instructions consist of two A4 pages giving a brief aircraft history in English. The parts map and constructional illustrations are photos of the actual kit being built, and are clear to follow with useful notes at each stage. 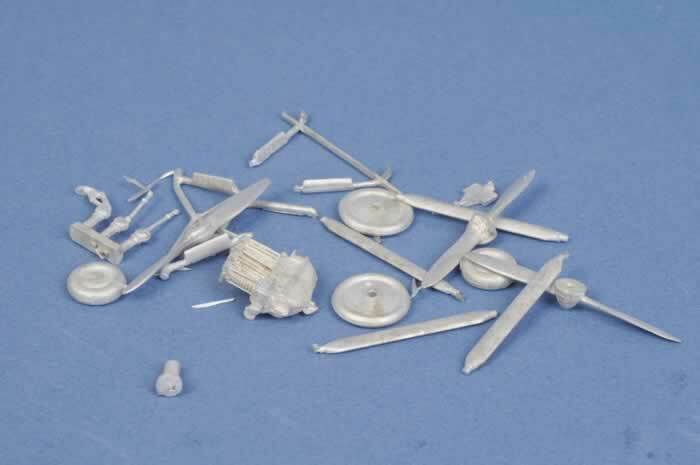 Several of the parts are not required as they are for the DH 82 Tiger Moth kit that shares some sprues and white metal parts. Colour call-outs are left to the modeller as far the interior and detail parts are concerned. Two more pages of A4 colour scheme and decal guides are provided. 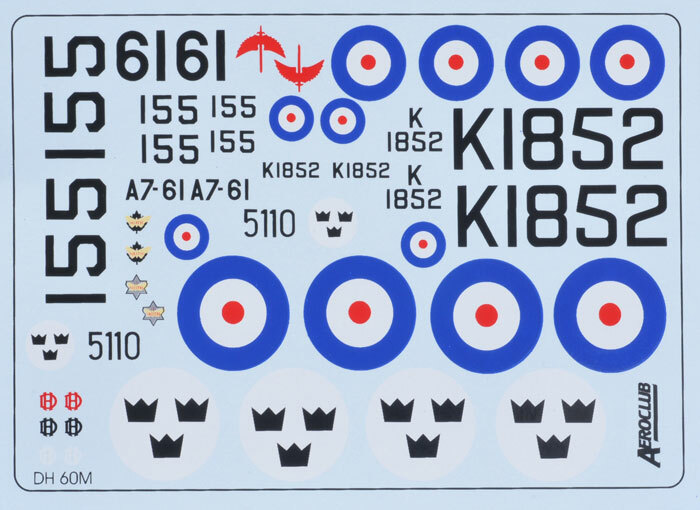 The kit provides decal options for Flygvapnet (Swedish Air Force), RAAF, RAF, RCAF and RNZAF aircraft. Mention is made in the instructions of decals in various colours in the correct Civreg 20 Civreg 6.5 lettering for those modellers wishing to finish their models in civil schemes. These are the available from Aeroclub as a separate purchase. The design of the kit is conventional and well thought out. 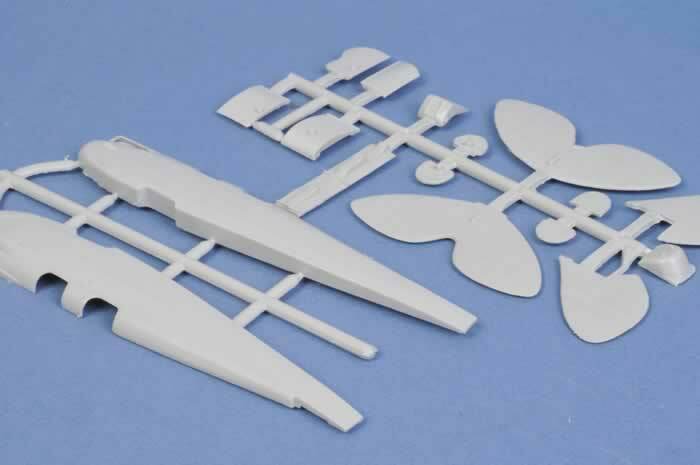 The styrene airframe parts are cleanly moulded for a limited run kit, with very nice delicate indications of the structure under the fabric skin. 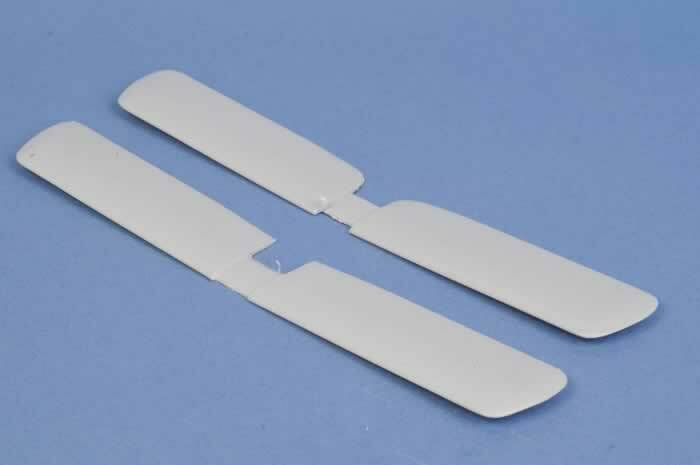 The white metal parts will only need minimal preparation as they are of good quality. I’m sure there is a sound reason for using heavy gauge photo-etched brass for the main and cabane struts, but to my eye they seem a bit two-dimesional in appearance. Possibly the leading and trailing edges of the struts need rounding off a bit. I feel other extruded or cast media might have been better. But Aeroclub are very experienced multi-media kit producers, so I’m inclined to think that there may be a good reason for the use of PE here. Decals appear well printed and in register, it’s hard to comment on opacity before using decals, but colour density looks good. I have one small gripe: A conventional light gauge PE fret providing seatbelts, better instrument panels and details like throttles etc would have been nice. The kit interior detail is frankly a case of slim pickings for two open cockpits in 1/48 scale. Had this been a Czech kit I would not be raising this point. My gripe about cockpit detail aside, this is a very well executed kit of an interesting subject.